When choosing what walking tools and supplies to outfit your new pup with, the variety of options seems endless! 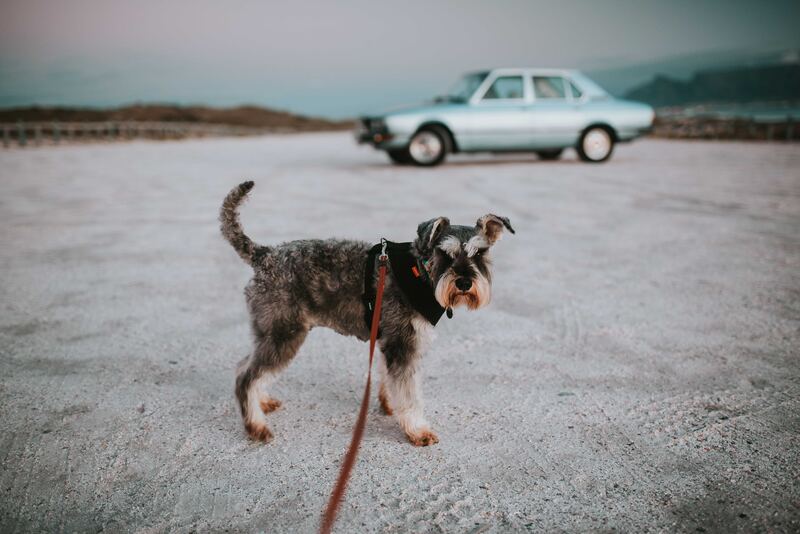 Leashes are an important training tool, and something that you’ll use almost every day — which means it’s important for you to find one that matches your needs and preferences. You’ll see dog owners walking their pups on lots of different widths and lengths, styles, materials, and even different clasp and handle types. 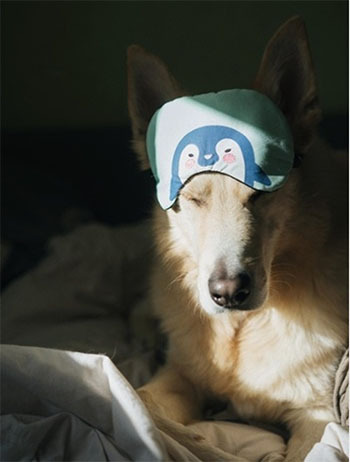 Which is best for you and your dog? 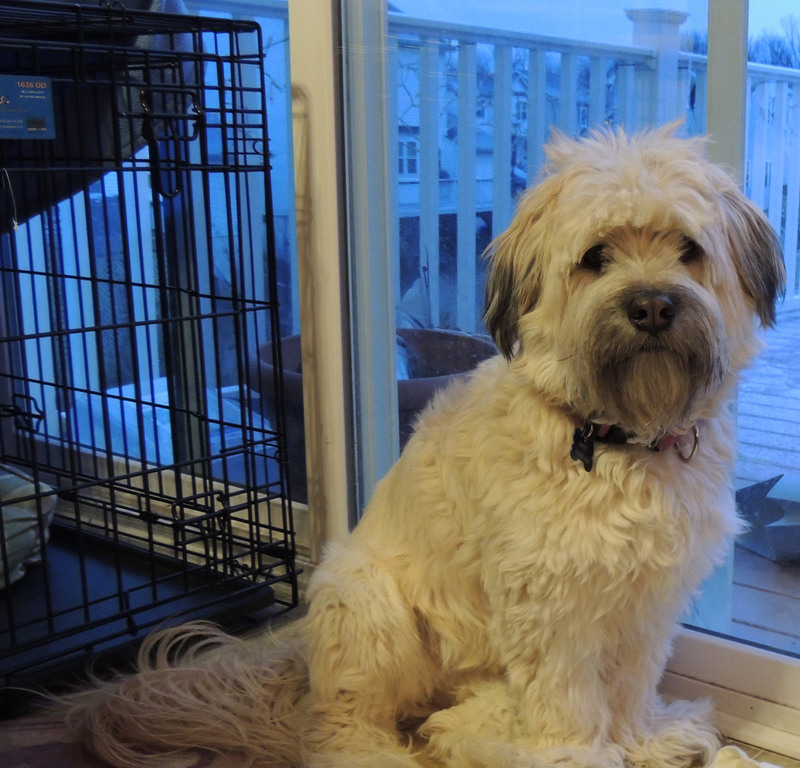 We’ve all been there – tapping our foot waiting in the dark or the rain for our dog to do their business. Don’t they know we’ve got things to do and people to see? 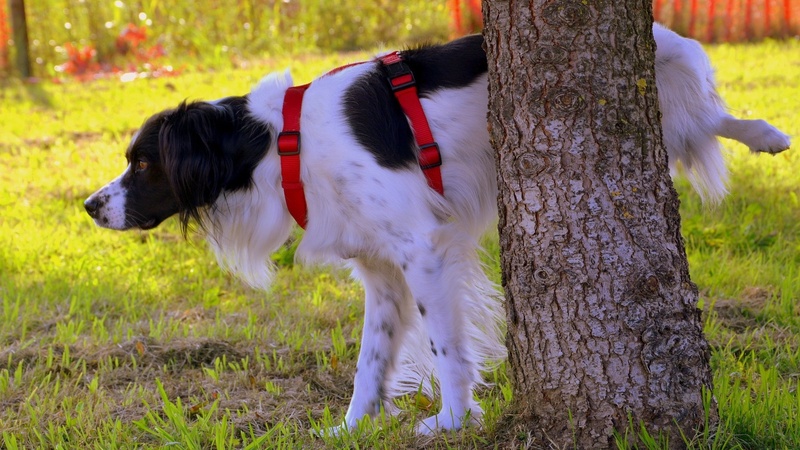 Teaching your dog to go to the bathroom on cue can be helpful in saving you time, as well as helping you potty train your pup. It’s easy as a puppy to get distracted by the sights and sounds outside and forget the purpose of the outing in the first place; sometimes they need a little reminder. Let's put it on cue! Swimming is a great form of exercise and entertainment for your dog. And if you live near a body of water such as a river, lake, or ocean (or are visiting one), the water can provide hours of fun for you and your dog. It’s a good idea to get your dog used to the water at an early age, since not every dog naturally knows how to swim. You can help your pup get comfortable with the water by introducing them to it early and safely — whether it be in the local lake, at the beach, or even a pool in your own backyard. Learn more about teaching your dog to swim. Water can also carry its own share of significant hazards for dogs that you should be aware of and keep an eye out for to prevent problems. 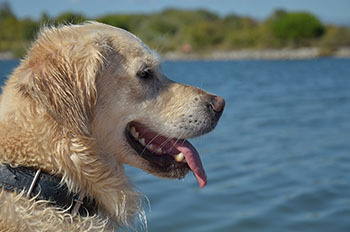 Below is a list of the most common and serious water and swimming-related hazards for pups swimming in rivers, lakes, and oceans. After all … knowing is half the battle! 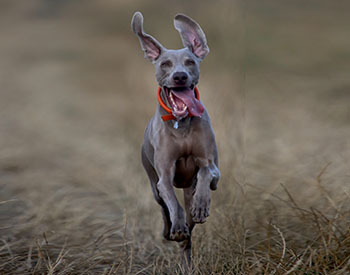 When you begin training your dog, it’s all about finding a reward that your dog is willing to work for. When we go to work, we expect a paycheck, and it’s only fair that we pay our dogs in their preferred currency for a job well done. Thankfully, almost every dog I’ve met is willing to do things for a piece of kibble, and even more excited to work for a little piece of chicken or cheese. You can take full advantage of your dog's desire for food, if you go about it the right way. 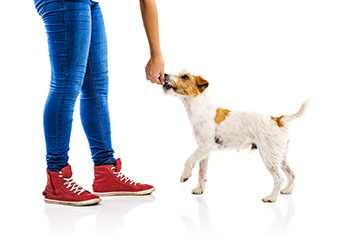 Treats are just one tool in our dog training toolkit, and a very powerful one. Attention is an important part of your relationship with your dog, and you can create a simple way to get your dog’s attention by teaching them their name. This can be useful in a variety of situations; it’s a wonderful way to prevent unwanted behaviors, such as barking at a passing bicycle or grabbing a piece of trash off the sidewalk. If your pup is too busy looking towards you, they can’t be barking at things or chewing on inappropriate items. Now that you've found a great puppy training class, it's time to get the supplies you'll need to be ready for the fun! 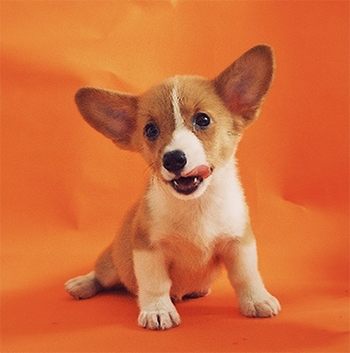 The more prepared you are, the more you'll be able to focus on learning with your puppy. Below is a list of what you'll need and some of our favorite product recommendations. Be sure to check with your dog trainer about what else you might need to bring along, or their preferences for what types of leashes, harnesses, etc. 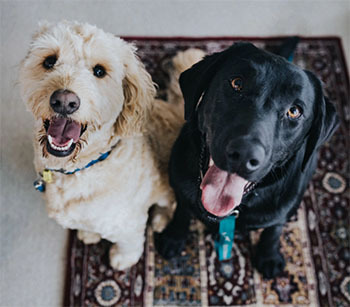 Dogs who live in the same home can benefit from the company of their housemate while the humans are away, but it can be nerve-racking to leave two dogs (or more) alone together for the first time. Unless you plan on keeping them separate whenever you aren’t around to supervise, it’s important to get them used to spending time together alone! Consider how you can set them up for success by providing the appropriate room set-up, addressing any individual problem behaviors, and slowly introducing periods of alone time together. 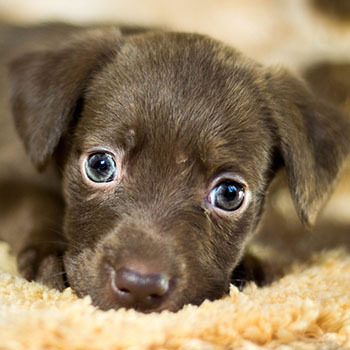 Will Your Puppy Be in Their Crate For a Long Time? When you start crate training your puppy, it’s important to plan ahead for when you’ll be away longer than your puppy should be crated. This could be anywhere from 30 minutes to 6 hours, depending on age. Check out this article on how to crate train your puppy for guidelines and more on how long your puppy should be in their crate. Puppies need regular potty breaks and can't handle being crated for a long time. This is where setting up a long-term containment area comes in. Think of this area as the designated "puppy zone." Having a puppy zone gives you peace of mind while you need to get things done without bringing your puppy along or stressing about them being confined for too long.